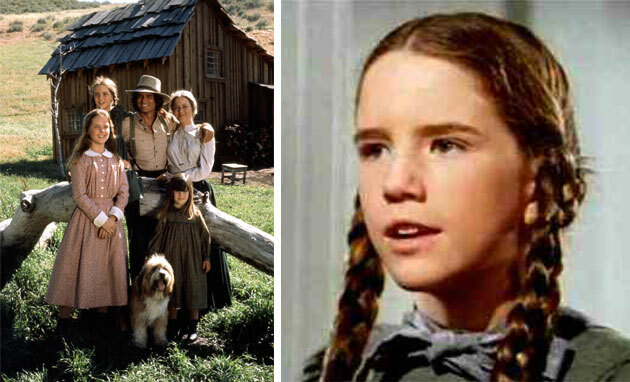 The “Little House on the Prairie” TV series and book is now being made into a feature film. Casting directors for the Columbia Pictures project are holding open, online auditions for girls to play the lead role of Laura Ingalls. These are the same casting directors that cast the “True Grit” role. You do not need to have an agent to apply for this. Girls 10 to 13 living in the United States can apply through the website that the movies casting department has setup. Do you think that you can be the next Laura Ingalls? Here is your chance to find out by sending in a self taped audition video. Here is the breakdown of the Laura character, if you are not familiar with the part, you can look up some old episodes of the “Little House” TV series which aired in the late 70’s and early 80’s and starred Melissa Gilbert as Laura. Female, 10-13 years old, the smart and spirited middle child of Charles and Caroline Ingalls. Laura is a tomboy and adventure seeker living in the Prairie Lands in 1870. Laura is the type of girl who marches to the beat of her own drum and prefers the outdoors to reading and homework. She has a close relationship with her family and dearly loves her ”Pa” and older sister Mary. When her family moves from their home in the Big Woods of Wisconsin to Independence, Kansas, she embraces the adventures she encounters on their journey. Life is not easy, but Laura rises to the challenge. We were part of the casting team that spearheaded the nationwide search for “Mattie Ross” in the film, TRUE GRIT. Like that search, we’re excited to give ALL girls the opportunity to audition! You may fwd this notice and spread the word, far n’ wide! We’re open to all girls who want to give it a try! You can apply online by visiting this here. Charles Ingalls and his family decide to head out west looking for fertile land to farm and a farm that he and his family can settle down on. Charles Ingalls and his family which includes 3 daughters, his wife and the family dog settle out west and give us a look at what life may have been like at the turn of the last century. The show is set in the late 1800’s and is based on the book written by Laura Ingalls in the 30’s. Sony Pictures Open Auditions for Teens for a speaking role in "Goosebumps"
I would love to be an extra for this if it’s in Shreveport, LA. I am 13 turning 14 in a few months but I can play Laura.The first Laura had an impact on my life. I learned from the series. All of my family love Little House On The Prairie. I can be a great Laura Ingalls if you gave me the chance. Thanks! I am 10 years old and in the 5th grade. I used to watch LHOTP all the time. Laura I. is a lot like me. We are both adventuresome, curious, and have lots of personality. My grandparents live in rural Montana, so I know lots about country life. I like animals, am a good friend, and am very creative. I hope you will consider me for this role and I look forward to hearing from you. Hello my name is Alyssa. I come from Quebec in Canada and I would really like to audition for the part of Laura ingalls because I look just like her. I have brown, long, hair just like her and I really like adventure. I am also a tomboy. I would so like to get the opportunity to live the life as a star. I hope you will choose me over all these other great girls. Hi. I’m Juliet, I’m 14 and my height is 5’5. I would really like to hear from you because I want to be on the movie. Thank you. Hi I’m Alexandra. I love to act and I want to try out for the role of Laura Ingalls. I don’t know if I’m too late to try out for the role, but I hope I’m not. I’m very excited to submit a video so I hope you enjoy it. Grade: I’m going to be in 7th. I’m Savannah and I want to be in a movie. Your uploading is not working. I have tried many times over the past month. 2 mov files, total 14 MB, uploads and then gets caught in a loop. I was in acting last year but they quit so I had to stop. I’m pretty good. I want to start my career in acting, thanks again for reading. I don’t look 11, people say I look 13 or 14. Hey my name is Xitlali Coronado, I’m 14 years old and I would love to be part of this. I believe that I have what it takes to be part of this and also have good grades. I am bilingual as well! I live in Denver Colorado and this is in California right?! Umm, I don’t think I can go over there, but you know. It would mean the world to me if you can give me auditions for here in Denver, please and thank you. I would like to audition for the part of Laura in the new little house on the prairie. I really want to get the lead role, so I hope I get it. Hello, my name is Victoria! I am 11 years old and in the 5th grade. I love acting and I always have. I have been looking for auditions and I think I finally found the perfect one. I hope I can become the next Laura Ingalls and I strongly believe I can. I hope I have made your day and inspired you as much as you have to me! Please feel free to email me if needed. Thank you soo much! !